If you’re the kind of person that hates exercise, there’s a high chance that you stare at your sneakers every single day and wonder why you ever bought them in the first place. Their stare back is never fun. Why must they taunt you like this? All they want is to be taken outside and used, but you know that’s just not going to happen. Instead, you just ignore them and hope that the pounds will simply fall off you in the middle of the night and leave you feeling confident and happy in your body. Of course, we all know that this won’t really happen (sorry), so maybe you should get involved in the mini trampoline craze that is taking over the world. In today’s day and age, anything goes when it comes to exercise. Do you want to play a game of Quidditch? Sure thing. Do you want to roll down a hill in pursuit of a wheel of cheese? Go for it. Do you want to jump on a tiny trampoline? We’re not stopping you! 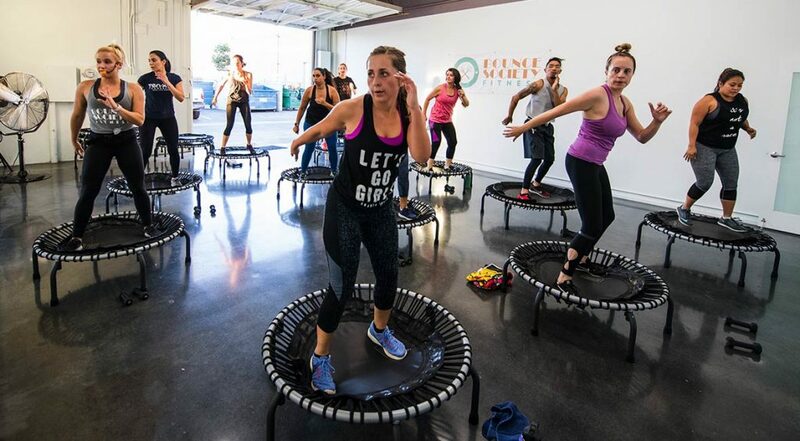 In fact, more and more people are turning to these rebounder trampolines for an alternative way to exercise - and the benefits are too impressive to ignore. This low-impact exercise is perfect for those who have sore joints or limbs and is a great way for them to burn a huge amount of calories without hitting the gym or going for a run. As if that wasn’t cool enough, this form of exercise is also a fun way to get your lymphatic system moving. As science sticks up for mini trampoline fitness, more and more celebrities are getting on board with the trend. You might have seen the likes of Gwyneth Paltrow, Madonna, Tony Robbins, Miranda Kerr, and Busy Phillips get their sweat on with their rebounders in tow. They attend classes, they have their own personal trampolines, and they bounce the day away. You don’t need to be a genius to know that celebrities are the ultimate influencers, and as fans see more and more of their favorite people jumping on these springy platforms, the more they want to get involved themselves. There are two kinds of people in this world; those who don’t like exercise, and those who do. If you don’t like exercise, it can be hard to maintain your fitness and your health. 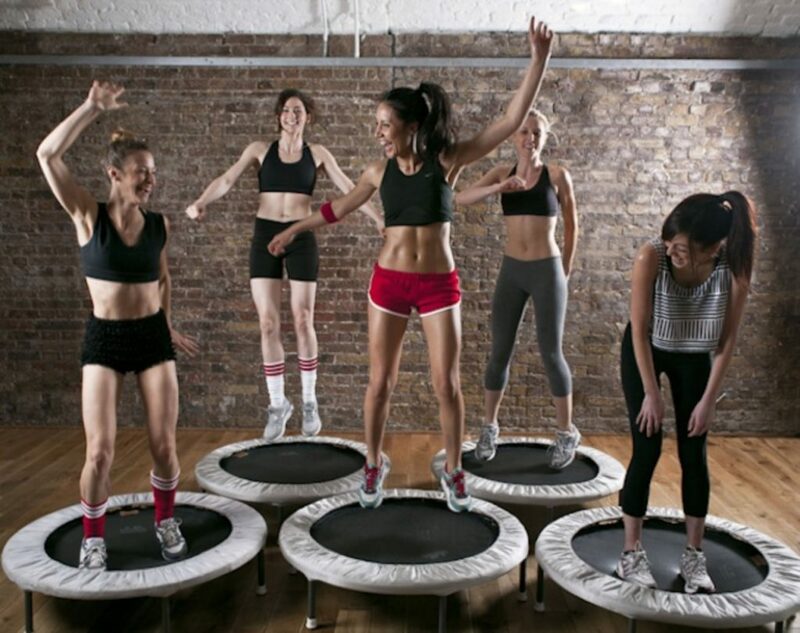 However, mini trampoline fitness has given people a chance to add a little fun into their workouts, and this has brought a whole new generation of fitness fanatics into the mix. Why would anyone turn down the chance to jump on a trampoline to cheesy tunes once or twice a week? Mini trampoline fitness is all the rage right now, and we don’t see this coming to an end any time soon. The craze has swept the world, and more and more people are getting on board. Will you be next?